Christmas! 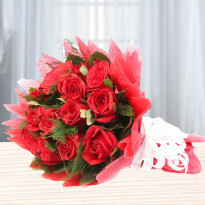 A perfect time to make your loved one feel happy, noticed and remembered through the sharing of Christmas flowers. Spread the Christmas cheer by exchanging holiday greetings along with the beautiful florals of Winni. 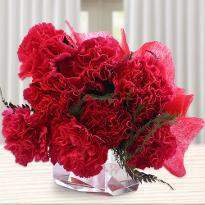 At Winni, you will find a wide assortment of Christmas flowers, that you can buy easily in just a few clicks. We offer handmade, a hand-delivered bouquet of the finest and freshest cut Christmas flowers that are perfect for sending your festive greetings and wishes to your loved ones. 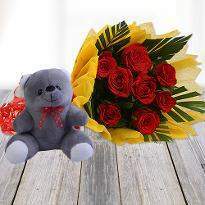 So, order and send Christmas flowers online from Winni using our best online delivery service of it. Adore the celebration of Christmas occasion by sparkling it with new happiness and new surprises. Christmas is a day filled with joy when holiday greetings are exchanged and families unite to celebrate such a wonderful day. The warmth and joy of this occasion bringing people closer to each other and strengthening the relations in a lovely manner. 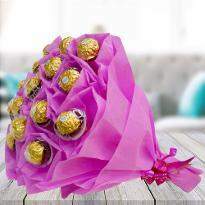 Remember the birth of Jesus Christ to whom Christians believe is the Son of God and celebrate the day by spreading the Christmas cheer all around with the floral gifts. 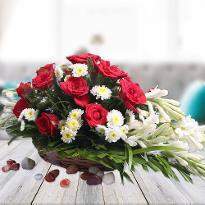 Send Christmas flowers online to your relatives, friends or family members to say, “Happy Holidays!” or “Merry Christmas” even if you are living miles away from them. 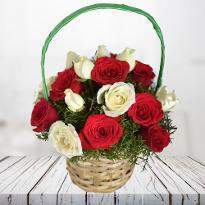 Winni, a one-stop destination for your floral needs where you will find a wide assortment of Christmas flowers, beautifully arranged in bouquets, bunches, basket and so on. There are some of the most requested Christmas flowers online at our website Winni.in, nailing the moment with the beauty and fragrance of it. 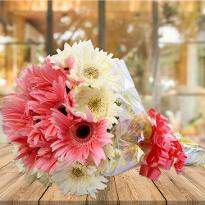 Some of the best flowers we offer for Christmas Eve are roses, gerberas, carnation, orchids that will definitely blow your mind with their great appealing looks and pleasant fragrance. 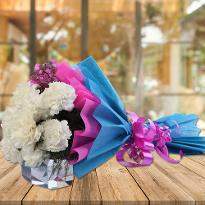 Presenting floral gifts to your loved ones can be the best way to kick off your holiday season and celebration of Christmas. 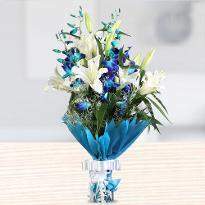 Visit our website Winni.in and have a look at our beautiful arrangements of Christmas flowers. 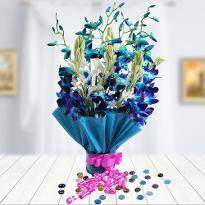 Get ready to experience the best online shopping for flowers here. December is the coldest month in India & also the loveliest one. It is the time when the weather is captivating as ever. A fantastic month when the sun is mild, waves in the ocean waving in their own style and heart become closer than ever. 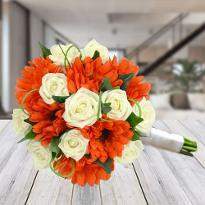 The entire world is getting ready to commemorate the birth of Jesus, who in the Christian religion and also known as “The Son of God.” Christmas is all about the ringing sound of church bells, watching fireworks, the smell of scented candles, the sound of Christmas carol and wishing your loved one with the bunches of flowers. 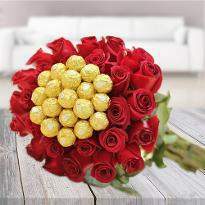 When we talk about the Christmas festival, the first picture that strikes in our mind is sending the best wishes and greeting of this festival by offering florals gifts. On this beautiful occasion, the entire world turned into a dreamy show and is indeed to treat to the eyes! You will definitely love it! 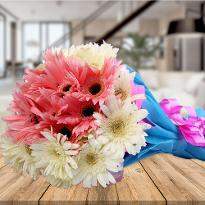 Mark every moment of this wonderful occasion into a beautiful memory by sending Christmas flowers online to say “Merry Christmas.” Winni, a right platform where we offer flowers for everyone. 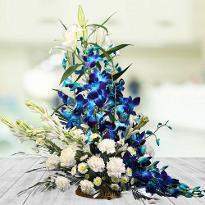 Our floral Christmas collection is featured with many flowers arrangements including fresh and vibrant roses, gerberas, carnations, orchids and many more. 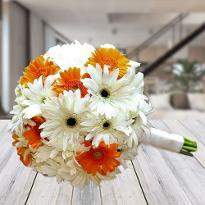 We bring your these floral beauties adorned in sweet bouquets, bunches or basket arrangements. Our premium collection of Christmas flowers always ready to welcome every choice and provide you a hand-picked and fresh cut flowers so that no moment of celebration can’t go tarnished. 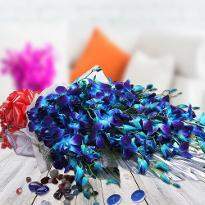 We used to update our assortment occasionally to give you a pleasant experience of online shopping for Christmas flowers. 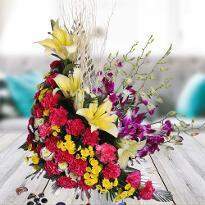 The floral beauties offered by us, will carry your festive sentiments and bring your dear ones close to you. So, don’t overthink! 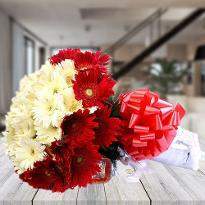 Just place an order for the Christmas flowers online and get hassle-free online delivery of it. 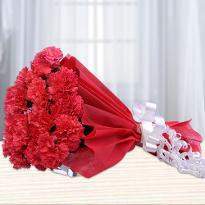 You can also send your best wishes for this beautiful occasion by sending Christmas flowers online from Winni. Celebrate the glorious Christmas night by offering prayers towards Jesus and enjoy the beginning of the holiday season in a dazzled way. 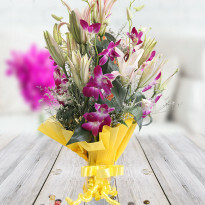 Sending Christmas flowers to your dear ones is one of the best ways to give a kick-start to the celebration. Yes! 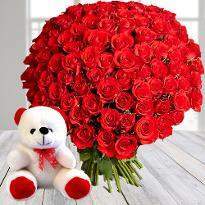 With the online delivery service of the Christmas flowers, now you can send your wishes at your specific time and desired location. Every festival seems incomplete with the absence of your close ones. It will be the worst feeling ever when you can’t become the part of the occasion because of significant reasons. 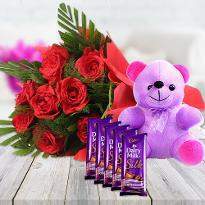 But with Winni, you don’t need to be tensed at all as we are declining your stress by offering the best flowers with the excellent online delivery of it. 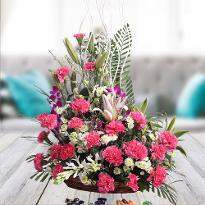 We provide you a plethora of delivery option like same day delivery, fixed time delivery, earliest 4 hours delivery and even midnight delivery service too so that you can easily send your best wishes for this occasion, wrapped in the bouquet of Christmas flowers. So, what are you waiting for? 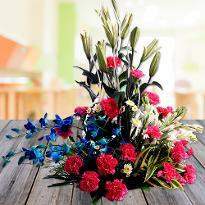 Become the part of the celebration by ordering and sending Christmas flowers online via Winni. 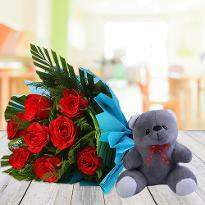 Surprise your loved one with midnight delivery of Christmas flowers online and become the reason for their beautiful smiles.